The water crisis has become one of the major concerns across the globe. A report suggests that the US alone wastes 7 billion gallons of drinking water per day. As only less than one percent of earth surface water is suitable for human consumption, it becomes crucial that we save water so that our future generations survive. 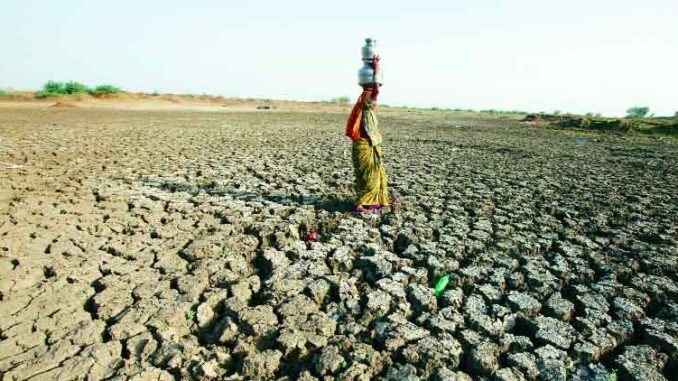 The unchecked use of water and extreme weather conditions have worsened the situation and in no time there will be a fresh water shortage, irregularities in supply and demand, groundwater shrinkage, among other challenges. To help overcome water crisis, organizations have started using artificial intelligence to efficiently stop this wastage. Researchers are using AI as a counterfeit mechanism to traditional hydrological prototypes, which are proving to be successful and effective. Hydrological issues like flooding, precipitation, contaminant transport, and groundwater management require the availability of detailed and accurate data about the water systems, which are usually not available in the developing countries due to economic and infrastructure limitations. In such challenging scenarios, artificial intelligence comes as a friendly alternative for water management. AI techniques such as Artificial Neural Networks and Support Vector Machine (SVM) are being popularly used as they are less cost-effective when compared to big data mechanisms. ANN algorithms are supporting to build water plants that give updated statistics about the present resources and aid to build models for the upcoming situations. Software programs armed with neural networks strategize water operations dynamically. It is also helping in developing the present water resources. The decision-making abilities of AI can optimize and automate of the available resources. The governing bodies and water concerned departments can understand real-time water loss and misusage, with an AI-driven planning. In Greece, researchers have used a feedforward neural network trained algorithm for the stimulation of decreasing groundwater trends. They used the precipitation, temperature and groundwater level data as the vector for neural networks for prediction. The results were able to provide a solution for the next 18 months. The state of Illinois, US, has used the feedforward training algorithm for the prediction of pesticide quotation in groundwater. They used aquifer depth, aquifer sensitivity to pesticide, pesticide leaching and samples for a specific time as vectors for these ANN. In Northern France, scientists have applied the ANN model to estimate the depth of the contaminated territory in the soil to estimate groundwater contamination caused during road projects. To analyse nitrate content in groundwater in the wells of Harran Plain in Turkey, researchers used temperature, electrical conductivity, and Ph levels of groundwater as vectors for ANN. An observation was carried out at Edward’s karstic aquifer in Texas, US, with hydraulic ANN head change to forecast the groundwater level. The previous six days temperature and nearby wells pumping rates were taken as vectors for the experiment. Iran has developed ANN multilayer perceptron (MLP) to model the rainfall-runoff process using rainfall durations, average intensities and season index of over 100 occurrences as vectors for the model. Singapore has developed ANN backpropagation training algorithm for the prediction of coastal water quality using the location of stations, previous salinity, temperature, dissolved oxygen levels and chlorophyll-a levels in the nearby stations as vectors. The Sevier River Basin Utah, US, has developed an SVM model to forecast the streamflow of 6 months ahead using local climatological data with different time variations and previous stream volume flow. An integration of suitable ANN, SVM, and logistic regression with the help of GIS was used to identify nitrate-contaminated water in the wells of Polk County, Florida, US. The vectors for the research were GW depth, characteristics of soil media, hydraulic, topography, pedality and PH value. In this technique, ANN’s outperformed SVM. China used an SVM model for groundwater quality assessment at the Naingziguan fountain by using groundwater quality classification indicators as vectors, which resulted in high prediction accuracy. With the help of a time series model created with SVMs and ANNs, Korea could forecast groundwater level in wells near coastal regions. They used previous data of groundwater level, tide level and precipitation as vectors. India has been recording interesting developments in the area of water crisis management using AI. Two ANN models were developed in India to find water quality of Gomati river. Water quality variables like PH, TS, COD were taken as vectors and the prediction of DO (dissolved oxygen) and BOD (biological oxygen demand). The neural network prototype was developed using data which had observations for three years. The input vectors were designed by the help of correlation coefficient with dissolved oxygen. Performance of ANN prototypes was compared using correlation coefficient, mean squared error, and coefficient of efficiency. The estimated values of DO and BOD were accurate. In another interesting development, the ministry of water resources has collaborated with Google for developing an AI model to forecast floods. This program is still in the budding stage. The government of India and Google are working for the best predictive analysis to handle the natural catastrophes in an efficient way. With government programmes like Digital India, Make in India and Startup India gaining momentum and IT sector moving towards analytics, swift adoption of AI is giving hope. A number of tech heads from Google, Microsoft, FaceBook, and others are collaborating with the government for developing AI-based models to address various issues.